I love the challenges at iheartfaces.com I've been tempted to enter BUT never got around to it. I have so many "beach fun" photos that it was hard to decide which to use. We recently spent about a week and a half in Brownsville, Tx waiting on the birth of my nephew and while my sister was still pregnant we went to the beach for some maternity photos. 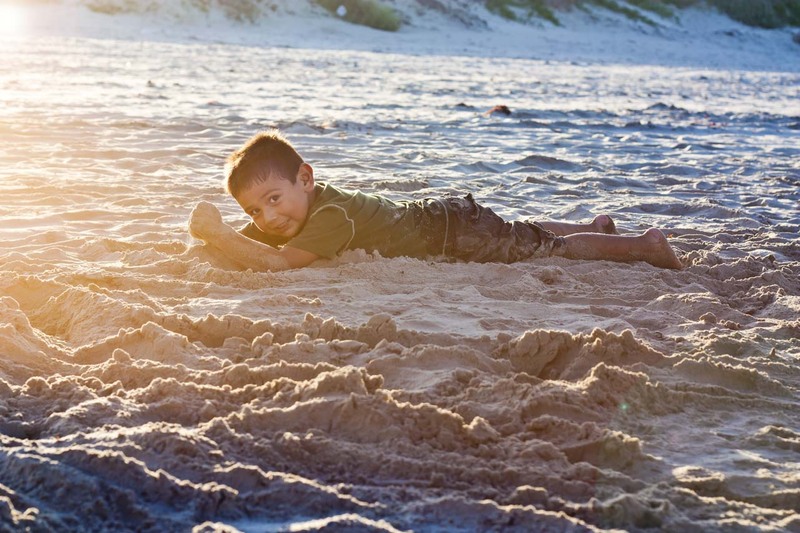 I had no where to leave my son so he came along and played in the sand to his heart's content. I told him he couldn't go in the water because I couldn't keep an eye on him all the time so he made the most of the sand! First and most importantly KNOW YOUR CAMERA know where all the buttons are located and what each does, the only way to do this is by reading your camera manual and then re-reading it and re-reading it once more, become familiar with the terminology. Canon, Nikon, Pentax, Sony, Olympus, all different cameras but they all do the same thing, capture light. Second PRACTICE, PRACTICE, PRACTICE, each moment as insignificant as it may be is the perfect opportunity to practice. You will only get better by learning what you have done wrong, so practice and review your photos then read your camera manual again! I could go on and on and on about the things you practice on and what settings to put your camera in, but maybe another day. For now this is what I want to share with you. KEEP YOUR ON BOARD FLASH OFF!!! The easiest way to ruin a shot is with on camera flash it can ruin the mood of a photograph. like in these examples first is without flash for a result with smooth shadows and soft skin. second shows bright spots on skin and some hard shadows becoming a true nightmare to edit. Not all low light situations require the use of flash, particularly your pop up flash. The way it is designed just doesn't allow flexibility of use, it is hard to diffuse and the result is less than flattering in close up situations. A little thinking goes a long way, there are all sorts of creative ideas to explore when it comes to building your own "natural light studio" takes no effort at all costs little money, if you keep it simple and makes for some great photos.